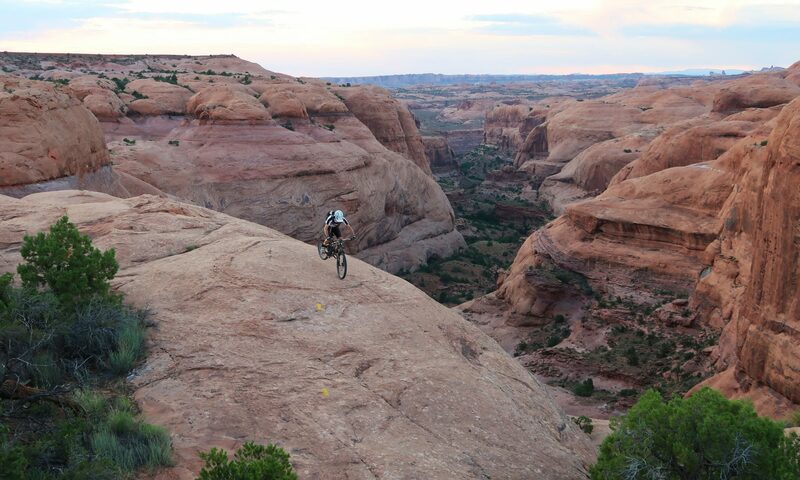 “Around the Mountain” is the name of Idaho’s arguably best MTB-ride. Located in the Bogus Basin Recreation Area near Boise this trail – guess what – runs around the mountain and it takes 16.4 km/10.2 miles and 375 m/1230 ft of ascent/descent to complete the loop. 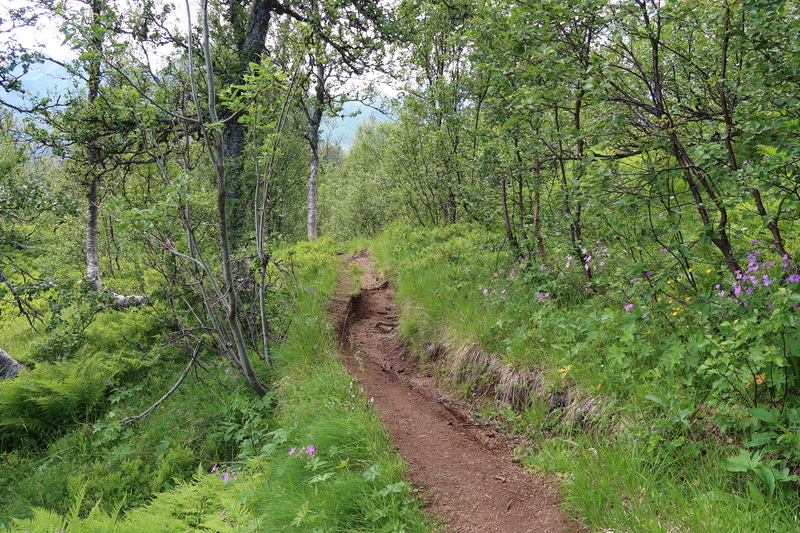 The trail is nicely maintained and there are several options for the final downhill. The “Morning Star” seems to be the most fun-track downhill with a couple of jumps and berms. On MTB-Project.com “Around the Mountain” was even temporarily rated among the top ten rides in the US. So, if you come to Boise, ID, it certainly is a must-ride. Bend in Central Oregon has grown rapidly during the last decade and I guess the great trails in the area contribute significantly to this development (together with decent climate, fascinating nature and good micro breweries) . Most of the trail system has been created by the local MTB-community and is really hard to beat in terms of flow and fun. So, I was delighted to be back in Bend to rip the finest trails together with my son. Of course, Tiddlywinks and Lower Whoops were our favorites. However, there are so many miles of outstanding trails, that I should spend simply more time when I am back in Bend. 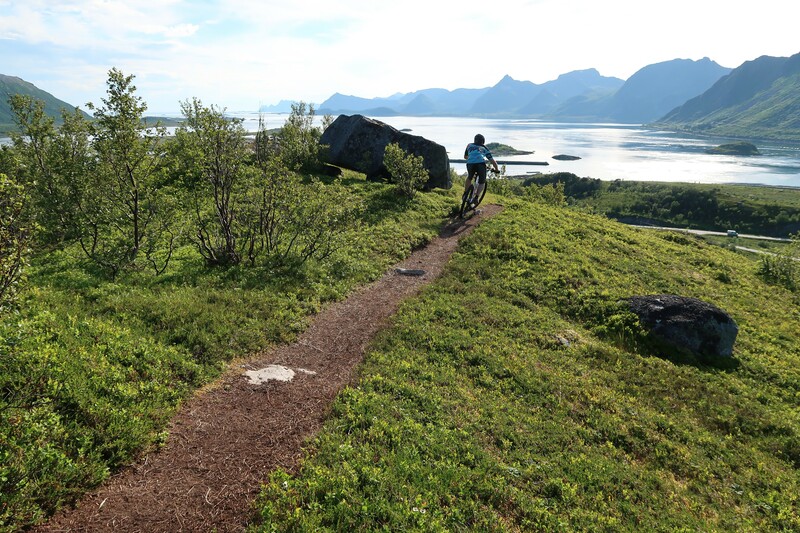 What about a trail ride in dramatic scenery in the midnight sun? 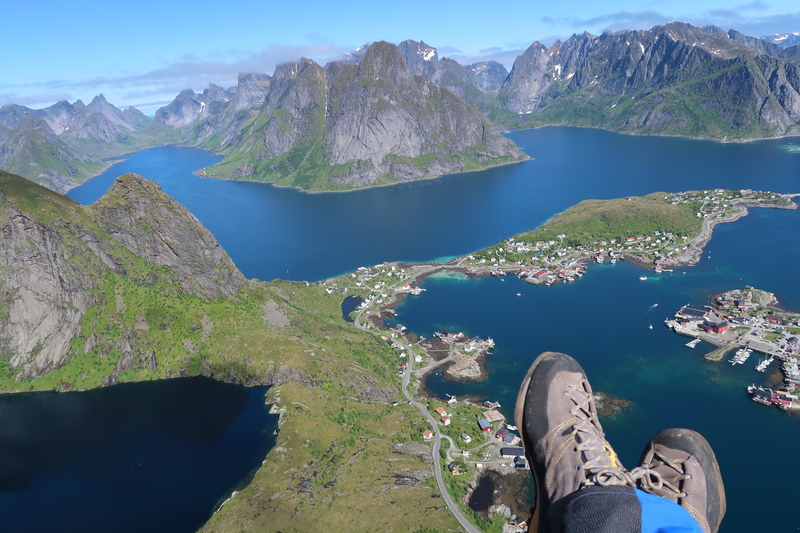 The Lofoten archipelago lies within the Arctic Circle, so you could enjoy 24 hours of sunshine during the summer months in good weather conditions. Yet, your body’s need for sleep remains the same at 68° north. 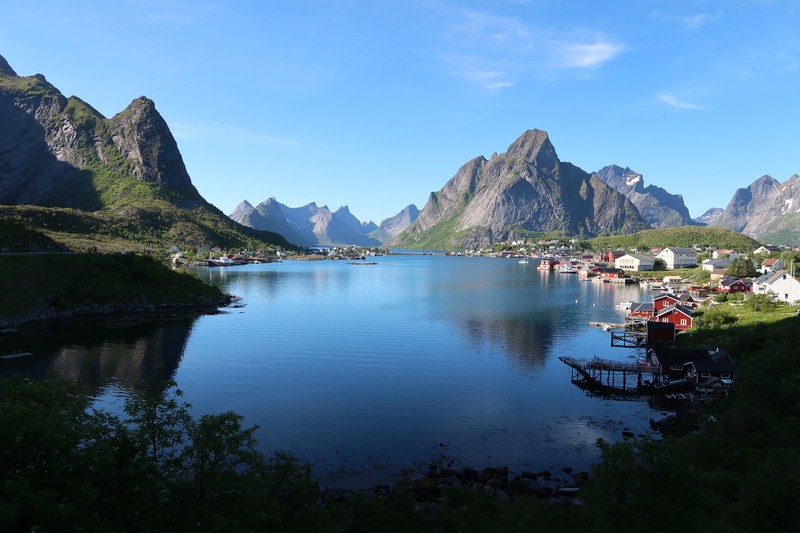 The Lofoten Islands combine dramatic mountains and peaks with open sea, sheltered bays, beaches and steep fjords to one of the most spectacular landscapes. 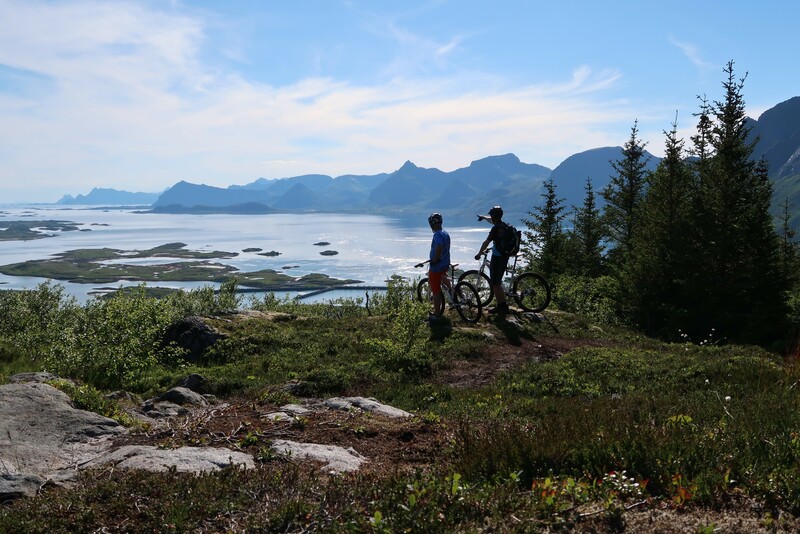 There are a handful of trails that are as well good for mountain biking, however, hiking your bike is sometimes inevitable. The biggest challenge though, is to find a decent bike to rent. It is a good idea to bring your own rig. 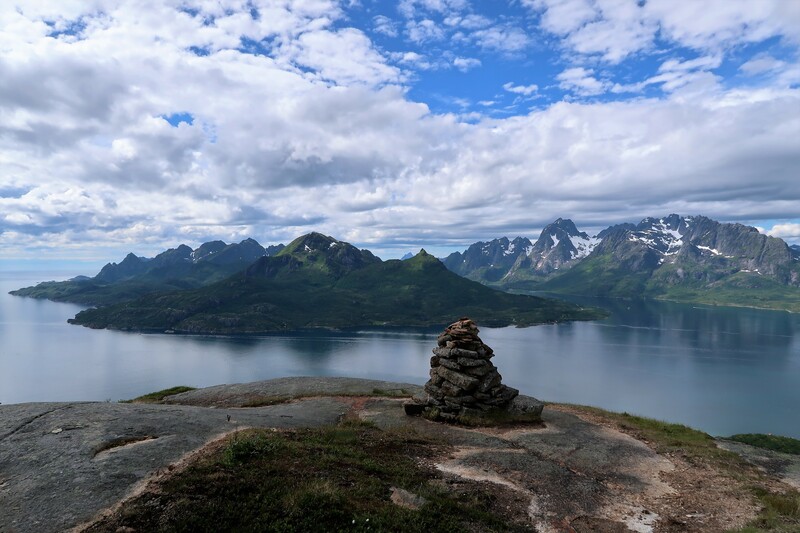 One of the best Lofoten rides starts just south of Leknes in Bergsdalen and winds up to Smordalskammen (437 meters elevation). It is an out-and-back ride on a ridge with a fun way back downhill. A real classic trail is the Keiservarden near Digermulen. The last German emperor Wilhelm II enjoyed the view on the Raftsundet already in 1889. The ride at the top is partially on granite rock. 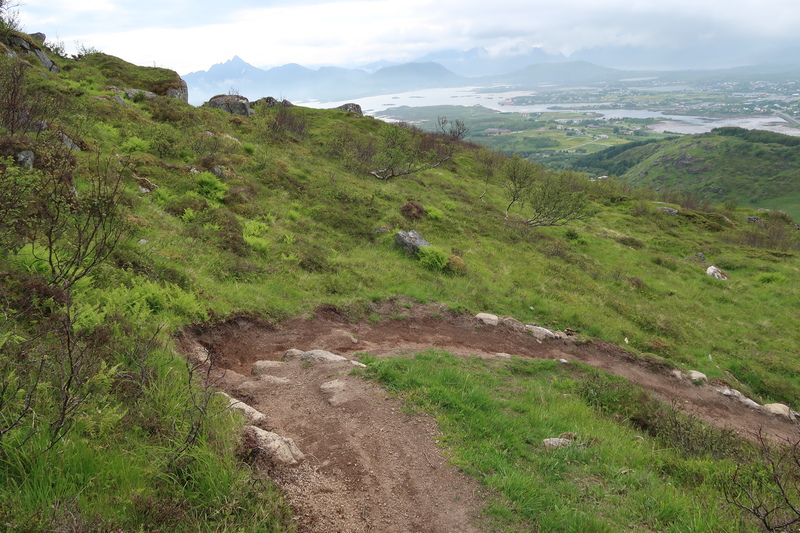 Kleppstadheia in the Kabelvag/Svolvaer region offers great views, but requires to hike your bike for a while. 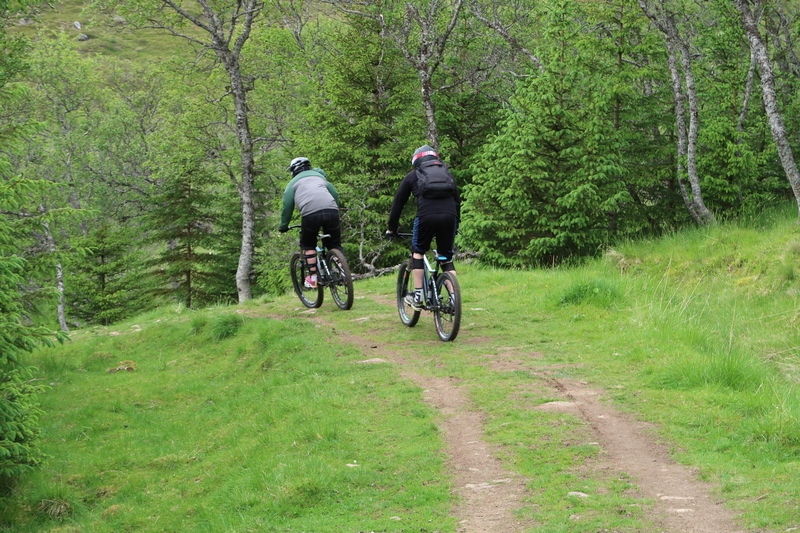 Trailride.no is a very helpful app to locate MTB-rides in Norway. Frankfurt is the best major city in Germany to live in when mountain biking is the key criteria – thanks to the nearby Taunus range. The U3-line takes you from the heart of the city directly to the Hohemark, the most popular starting point for MTB-tours to the higher Taunus elevations like the Große Feldberg (879 meters). In the recent mild winters there hasn’t been much snow, which made it possible to enjoy all-year long riding. 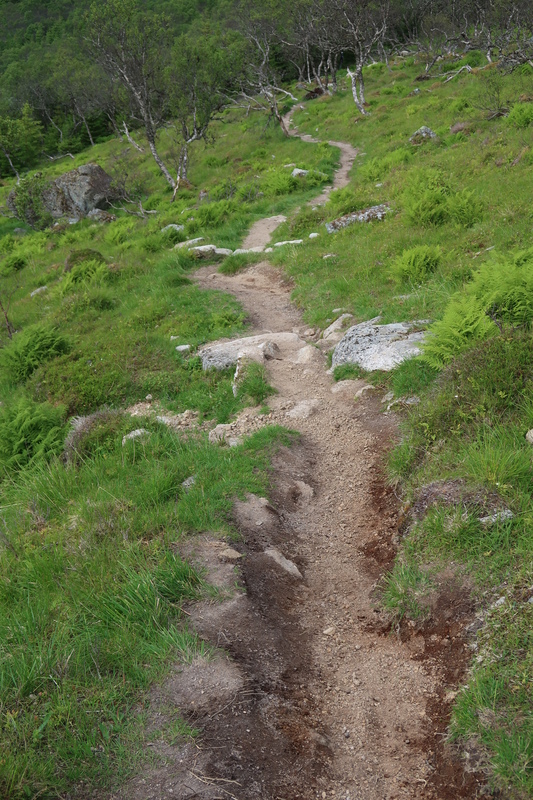 In addition to the countless official and unoffical trails, new purpose-built trails have been added during the last year. There are now two “official” downhill lines starting at the Feldberg and a flow trail not far away in the opposite direction. If you connect all the fun trails just around the Feldberg – Altkönig – Sandplacken area you easily end up with tour over 50 kilometers and 1500 meters of elevation gain. Quite a MTB-playground bordering the city limits of “Mainhattan”. The Vinschgau bureau of tourism loves to rave about the 315 sunny days per year they allegedly have. So, when I was heading to the Val di Senales for a ski touring event end of November I just threw my bike into the trunk as well and took off a bit earlier. I read about the newly built Propain Trail and was keen to get it under my tire knobs. The surrounding mountain ranges were all snow covered but the Vinschgau trails on both sides of the valley were in superb condition up to an elevation of 1800 meters. It was sunny and dry, but cold. The trails were covered with fine larch needles that added a soft golden shimmering finish. 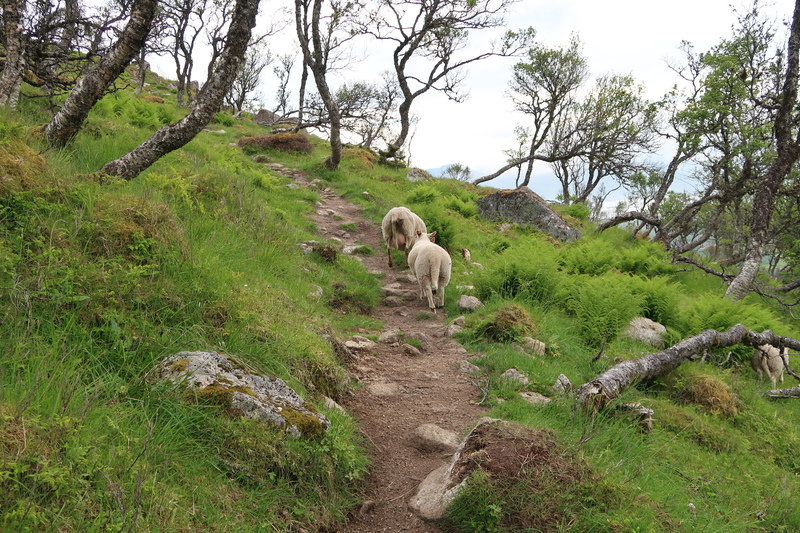 The Propain Trail is a sweet purpose built trail to descend from the Sonnenberg down to Schlanders. In order to get up to the trail head at an elevation of about 1400 meters you either pedal up from Coldrano via Vezzano on paved roads or you cross over from St. Martin am Kofel. The 800 meters climb from Coldrano was all on paved roads and somehow relaxed due to the warming sun and nice views. 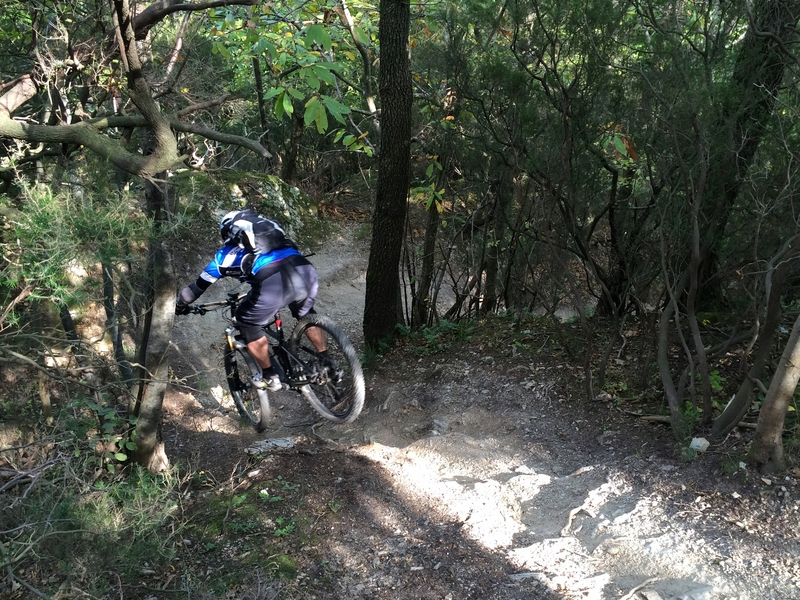 The downhill on the Propain Trail is excellent: technical with tight turns, but full of flow. Just two weeks after the Enduro World Series came to Finale Ligure to stage the final round of the season we continued our series of trips to Finale. This splendid, complete package that Finale has to offer is simply hard to beat: besides the unique Trail network with its flowy, roller-coaster-like trails there are nice beaches, cool cafes, good restaurants, plenty of shops, historic buildings, organic olive oil plantations, fantastic ice cream and much more to excite the whole family. The local committee to maintain and develop the trails has done an outstanding job over the last years and has shaped or reshaped numerous purpose built trails. There are plenty of alternatives when you start your descent at the NATO-base or from Melogno. The Kill Bill lines down to Calice Ligure are a thrilling alternative to the Caprazoppa Trails to finalize a tour from Melogno to Finale. Kill Bill is a sort of climax to the Roller Coaster Trail from Melogno as it is even steeper and tighter. The Supergroppo Trail starts from the old NATO-Base but is longer than the other runs and includes as well some uphill parts. It was built in 2014 and served as an epic stage in the Enduro World Series race. Altogether 11 km of beautifully flowing singletrack trail that ends in Orco Feglino. 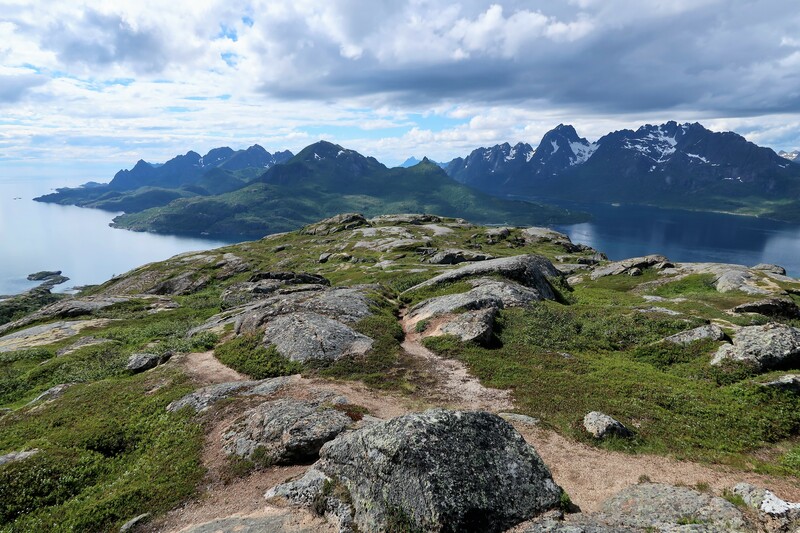 The glacier-shaped Norwegian landscape is unique and stunningly beautiful. It can be labelled as the Great Outdoors of Europe. But what about mountain biking in this rugged terrain? There are numerous great MTB-spots. 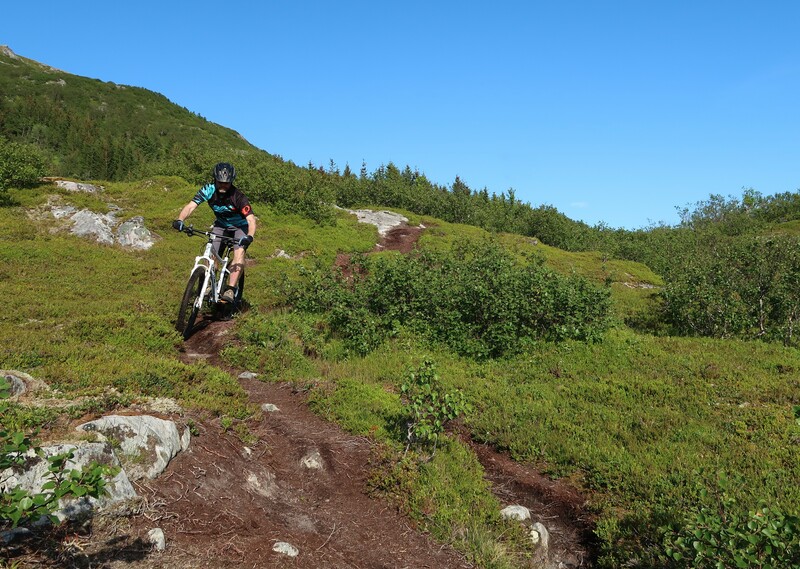 In the Telemark in Southern Norway you can ride for miles on smooth granite rock and several skiing resorts have remodeled their slopes into bike parks in summertime. There is a cool app for the smart phone called trailguide.no, that shows all the MTB-spots and helps you navigating the routes. 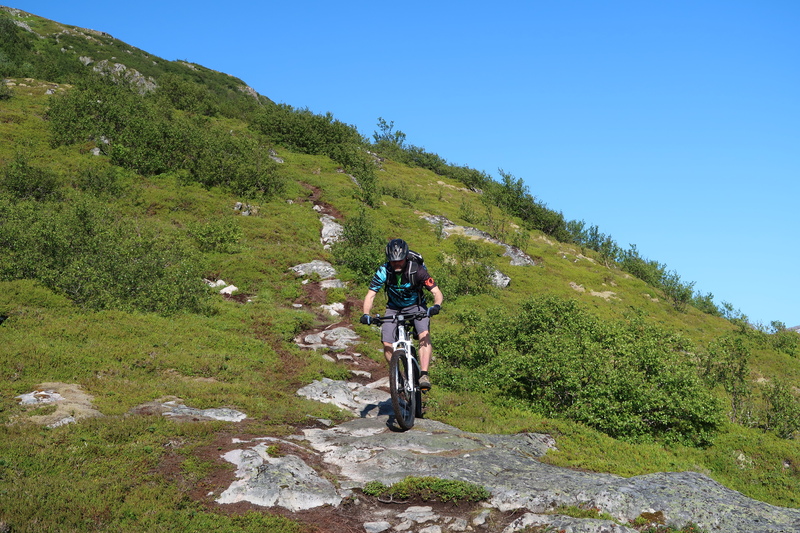 We chose Ål in Hallingdal as our MTB-hot spot. Ål is about half way between Bergen and Oslo and it hosts the Hillbilly Huckfest, a big air event, in July. 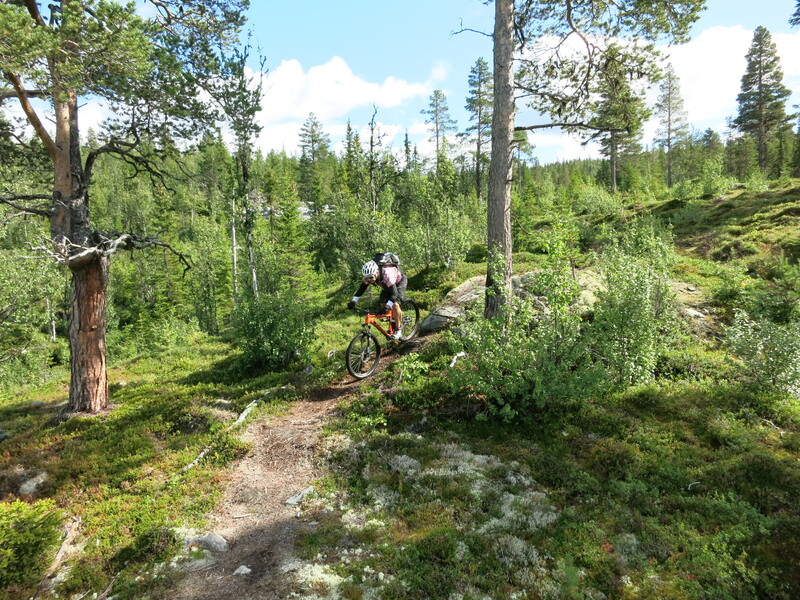 Knut, the organizer of the Hillbilly Huckfest, helped us to hit some of Ål’s MTB-trails. So we gave the Hillbilly Enduro Trail literally a trial. Knut drove us up the hill to a place called Nyset where we hiked our bikes up for about 15 minutes to cross Nysetfjellet and to gradually descent back to Ål. Due to the rain on the previous days the trail was in fact a creek in some sections. And with the trillions of rocks the trail was quite challenging. After a while we found our flow while the trail was still soaked. On one of the ladders across a swampy spot I lost balance and had to step off the pedal with the consequence of wet and cold feet for the rest of the ride. 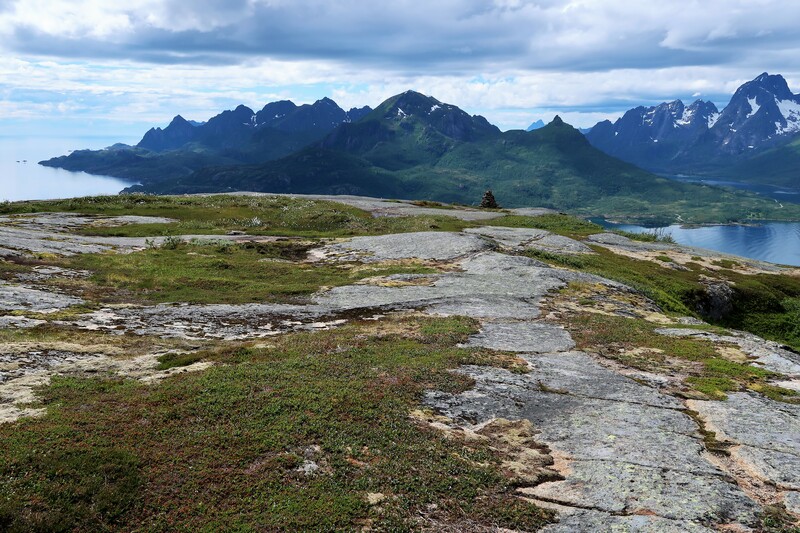 All in all we had a cool 15 km long trail adventure that encompassed most of the typical Norwegian characteristics: lots of rocks and water, natural beauty, really nice people & fun. Skål. The Dolomites feature the most dramatic mountain range in the Alps. That’s why I’ve been there a couple of times for work attending photo shootings. The bizarre rock formations and the via ferratas – often a remainder from World War I – make the Dolomites the classic hiking and climbing destination on the Southern side of the Alps. 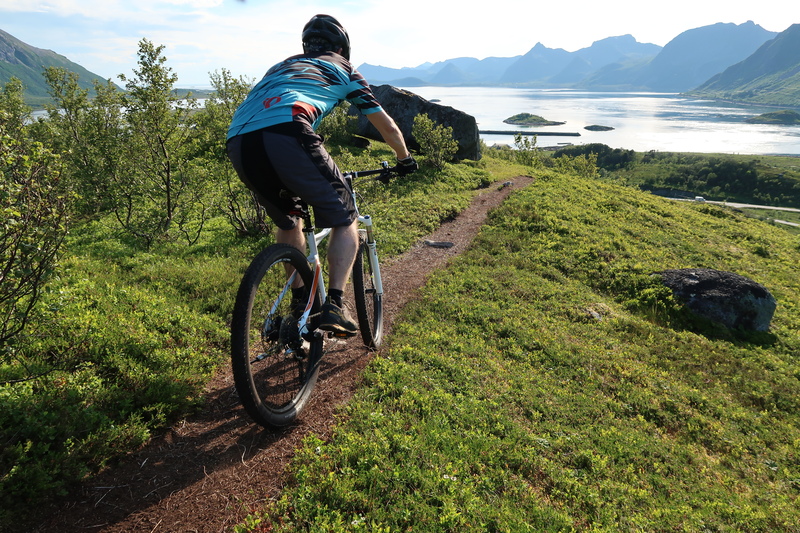 Of course, this is as well a great area for mountain biking and you can even combine biking and climbing. The legendary rides in the Dolomites tend to circumnavigate a mountain range. The Sella Ronda is perhaps the most popular tour as you can do it on a road bike, on a mountain bike and in winter on skis. I did the tour around the Latemar with an total elevation gain of about 2.900 meters and total distance of 56 km/35 miles. With the usage of 3 lifts, the ride wasn’t that tough, though. The trails are a mix of single track, dual track, gravel roads and small portion of paved road. Some steep, root strewn, challenging sections, blended with easy trails and forest roads make the Latemar circumnavigation a great, scenic ride that can be varied for different skill levels. On the Latemar Tour you would use the new Carezza cable car to avoid most of the gnarly climb up the Catinaccio (Rosegarden) Range to the Carezza Pass. 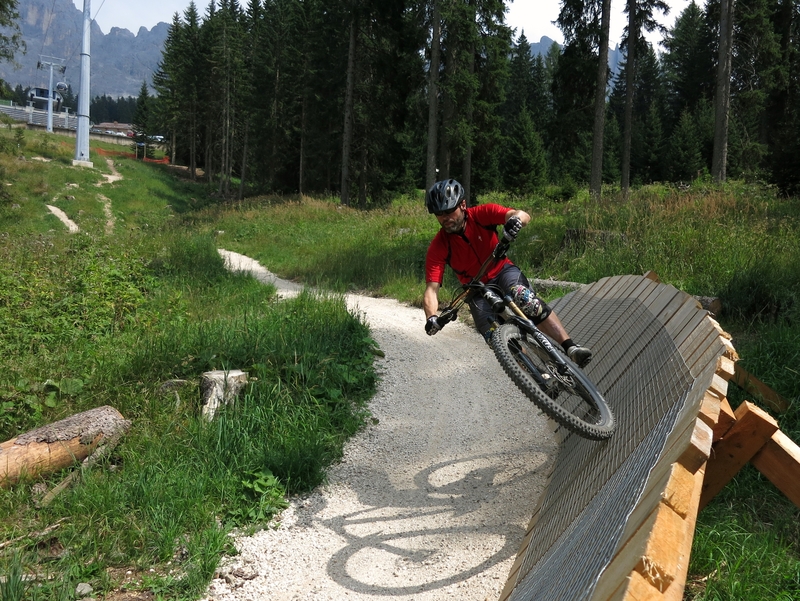 However, going down the freshly built Carezza Flow Trail is so much fun that you want to use the Carezza lift multiple times. What a blessing that our hotel in Welschnofen was directly located on the mountain and literally on the Carezza Flow Trail. 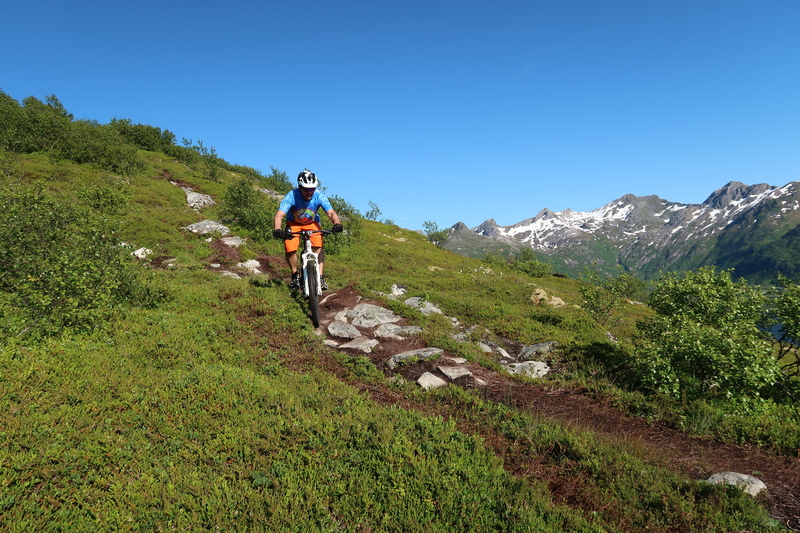 So, all those berms, jumps and wall rides – that offer great downhill fun even for novices – became a sort of daily routine to me for one week. This video documents just tiny piece of the fun I had at the Pass’ Portes du Soleil 2015 event.